Harry Whalley’s Music – St Vincent's Chapel, Edinburgh, the village church in the heart of the city. Dr Harry Whalley’s Leighton Contrasts, first performed at St Vincent’s on Wednesday 21st February 2018 by Svetoslav Todorov. 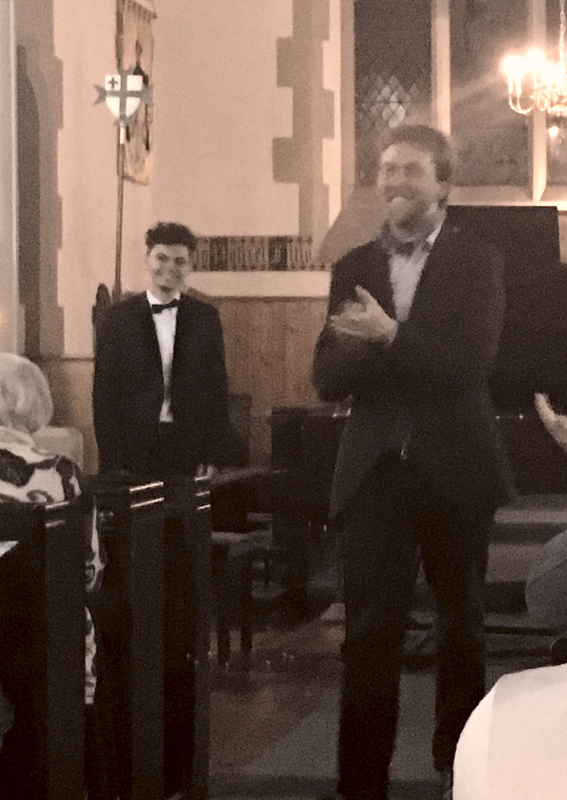 Our Composer in Residence, Dr Harry Whalley, takes the applause following the first performance of his Leighton Contrasts by Slav at St Vincent’s on Wednesday 21st February 2018.